I don’t usually write book reviews (book lists on the other hand …), but in a stroke of serendipity I recently finished reading Kate Humble’s Thinking on my Feet: The Small Joy of Putting One Foot in front of Another, an elegant meditation on the power of walking to both calm the mind and challenge the body, enlighten the spirit and ground oneself in the environment. First of all, I know you’re not supposed to judge a book by its cover, but Thinking on my Feet’s dustjacket is beautiful. I have read on a Kindle for so long that I had forgotten about the physical power of a book to help prime the reader for what’s in store. From the cover’s delicately shaded leaf to end papers that call to mind the tranquillity of walking through of a forest, Paul West’s design encapsulates the very feel of the narrative itself. Topping it all off is a slip of a silken bookmark; not needed in a Kindle, but a very much appreciated addition in a hardback! The writing itself is structured in the form of a diary of a year; I received it for Christmas and started reading the Preamble on New Year’s Eve, getting a chuckle out of the chapter heading as I did so. I proceeded through it at the pace of approximately one month per day, enjoying the vivid descriptions of the advancing seasons; it made dealing with the reality of January darkness just that little bit easier. Kate’s work takes her around the globe, and it was fascinating to see new locations and experience different cultures through someone else’s eyes. Yet I also delighted in the fact that much of the world she describes in the book is one I can see myself. Although not literally on my doorstep as in the case of her home in the Wye Valley of Wales, the landscape was one I could not only readily imagination but also make plans to visit. Indeed, one location sounded very familiar; through the magic of Twitter I was able to confirm that it was a special place that John Swann of the Travelling History Company introduced me to last year during our time travel tour of Wales. Her journey along the Wye Valley Walk in particular was a perfect summary of the trials, tribulations, and sheer joy offered by walking in the British countryside. There’s the variable weather to contend with and physical challenges that must be overcome, but also the opportunity to enjoy peace, tranquillity, and an untouched environment that is often overlooked. I was also glad to read that MrElaineous and I aren’t the only ones who occasionally miss the right trail! Like the best of walks, I didn’t want the book to end. Why was the timing of the book so fortuitous? I also just happened to edit and update All Roads Lead to Machynlleth. This is my own perspective on the power of walking to help clear the mind, improve mental health, and break free from the digital chains that bind many of us to our computers or phones. I experienced much of what Kate writes about first hand, and her interviews with other walkers underscored not only the commonality of the experience, but also the simple steps that can be taken to battle some of the symptoms of modern-day stress. I don’t want to say too much at the moment, but plans are afoot for some of my own long-distance walks. On that note, there’s only one thing that Kate forgot to mention: what type of walking boots does she recommend?! 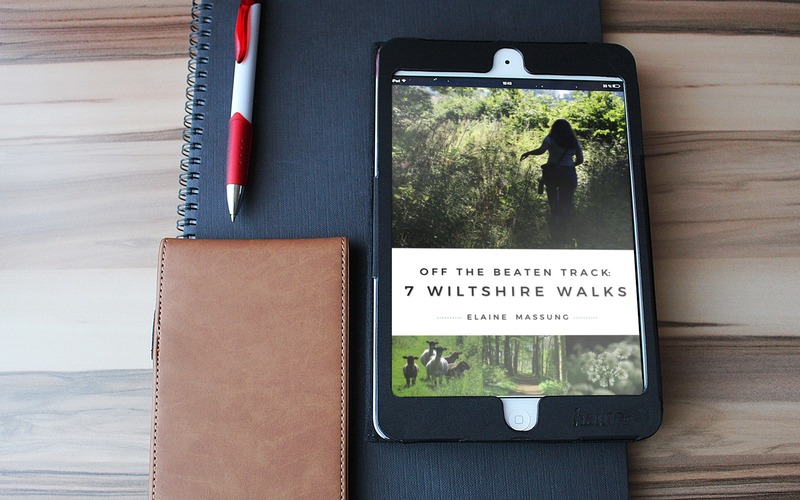 If you’re interested in checking out my own walks, please consider signing up to the MissElaineous mailing list to explore the beautiful Wiltshire countryside in a free eBook (and get each new blog post delivered directly to your inbox! ).